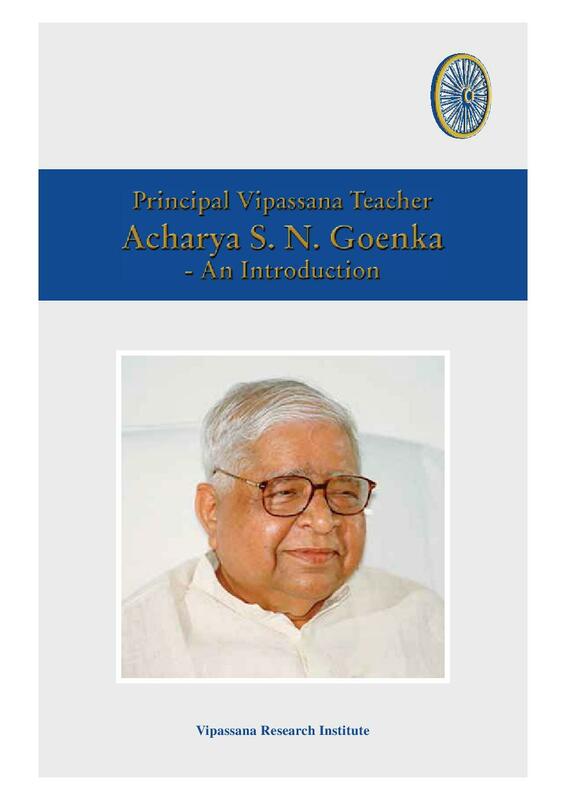 This book provides glimpses of life of Principal Teacher of Vipassana meditation, Mr. S. N. Goenka and his inspirational journey in Vipassana meditation. Mr. S. N. Goenka was a multi-faceted personality. Hailing from a business family, he was a successful entrepreneur in his early years. In his early thirties, he was drawn to Vipassana and became an ardent practitioner. This book describes his journey from a businessman to the Principal Teacher of Vipassana meditation. 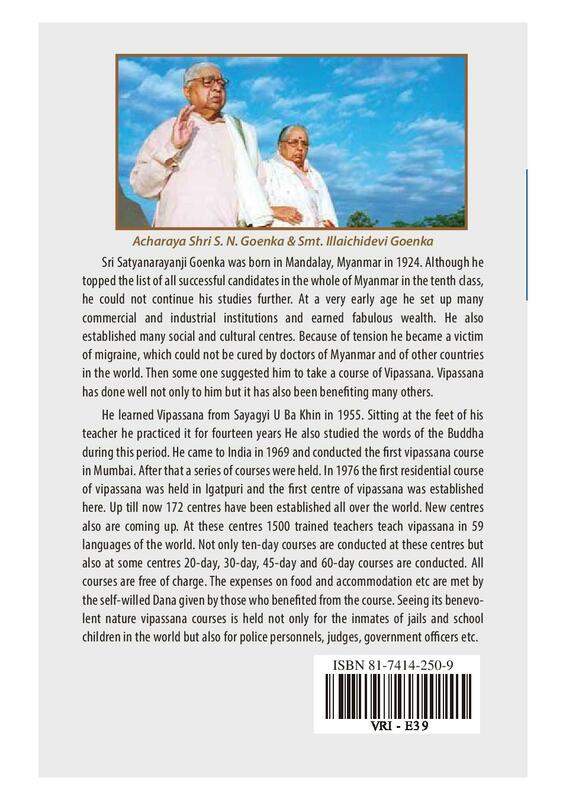 The book titled 'Kalyanamitra S. N. Goenka : Vyktitva and Krititva' also provides details about the work done by Principal Teacher Mr. S. N. Goenka in the spread of Dhamma. This book is ideal for Vipassana meditator as well as non-meditators.